Just when you thought the Wizards might be turning the corner, they go out and got beat on their home court by a depleted Utah Jazz team 107-104 in their latest #SoWizards loss of the season on Wednesday night. The Wizards trailed by nine points going into the fourth quarter but were able to claw their way back in this one. They even briefly took a 102-101 lead after back-to-back three-pointers but Utah responded with a Joe Ingles three, and clutch free throws by Joe Johnson. The Wizards had one last opportunity with 7.6 seconds to play. After struggling to get the ball in, Bradley Beal got caught in the air looking to pass the ball on a desperation three as the Wizards couldn’t get up a final shot. The Wizards made their run in this game once John Wall decided he would play All-NBA caliber defense in the fourth quarter. He single-handedly tried to will the Wizards to victory starting on the defensive end. He held his own when switched onto bigger players in the post, was diving for loose balls, and logged two steals turning them into transition opportunities. 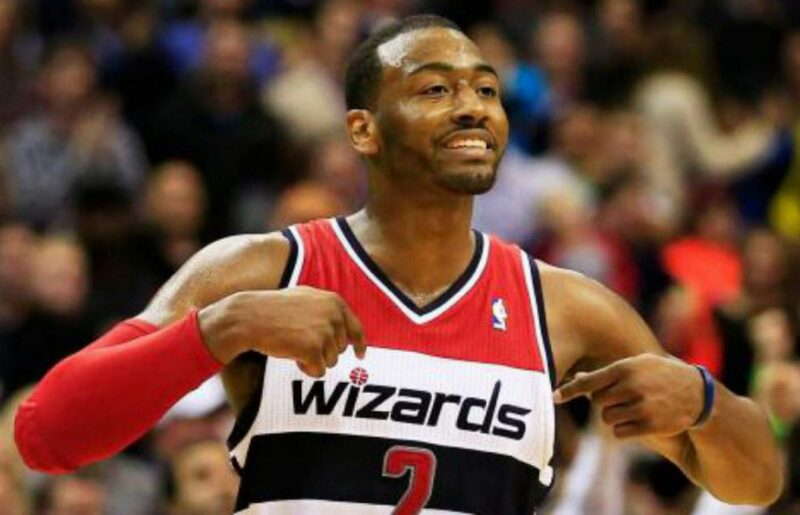 On the flip side, Wall was in constant attack mode on the offensive end as he scored 14 points in the final period. With Rudy Gobert and Derrick Favors out, Wall looked to attack the rim and either finish with a layup or kick the ball out for an open shot. Wall hit a three late in the game to give the Wizards a 102-101 lead, but it wouldn’t be enough to overcome the mishaps earlier in the contest. Beal started the game in attack mode looking to score from close in. He was decisive on his drives and looked to take his man off the dribble whenever he had the mismatch that got him several layups early on. The offense stalled out early in the second quarter with the all-bench unit it so Scott Brooks inserted Beal, and it made all the difference. Washington stretched the lead out to 10, 43-33 over a period where Beal scored eight straight points for the Wizards ending the half with 16 points. Wall carried the load in the second half scoring 24 of his 35 points. The issue for Washington was, they didn’t get much help from the other guys. Yes, Otto Porter ended the night with 14 points but nine of those came in the first quarter. Outside of Oubre, the bench was a non-factor that forced Brooks to play the starters very heavy minutes. John Wall turned the ball over on the Wizards opening play of the game, and that was an omen for what would play out the rest of the night. Washington tied their season-high with 23 turnovers tonight resulting in 27 points for the Jazz. As mentioned Wall was loose with the ball as he had eight of those, many of the live-ball variety and the Jazz made the Wizards pay. You’re not going to win many games being that loose with the rock. Bradley Beal eclipsed the 20-point mark for the 31st time this season. The loss drops Washington to 23-18 at the halfway mark of this up-and-down season. Next up: The Wizards continue their homestand on Friday as they host the Orlando Magic at 7 p.m. ET.